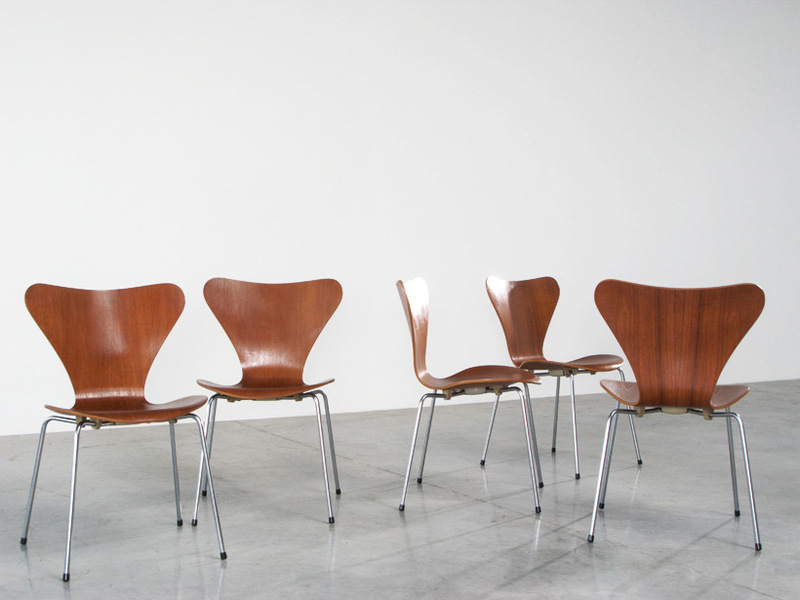 Five dinning chairs in plywood teak from the Series 7, designed by Arne Jacobsen for Fritz Hansen in 1955. These chairs are stackable. Underneath all signed with "Made in Denmark 1972 by Fritz Hansen". Cinq chaises de salle a manger en teck de la série 7, conçu par Arne Jacobsen pour Fritz Hansen en 1955. Ces chaises sont empilables. Signé avec "Made in Denmark 1972 by Fritz Hansen.